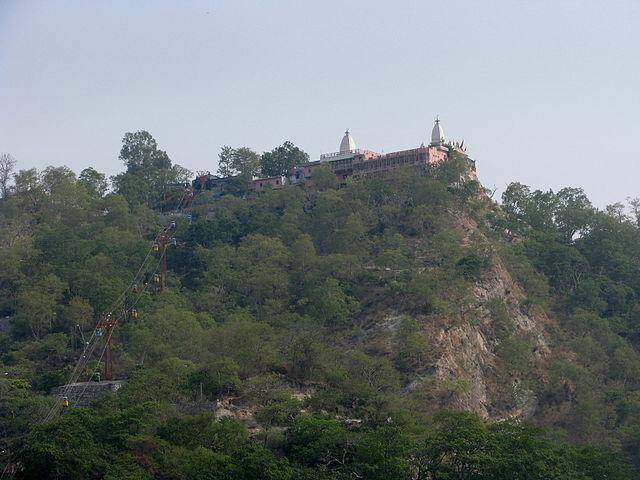 Mansa Devi Temple is situated on the Bilwa Parvat Hill. Tourists can access the temple using the Mansa Devi Udankhatola Ropeway service. The ropeway is of 540 m length and 178 m in height. This temple is one of the Panch Tirth in Haridwar. The Goddess Shakti resides in the name of “Mansa Devi” and fulfills the wishes of Devotees. Tourists can see many devotees tie a small thread on the tree in this temple. This custom is made to get their wishes fulfilled. Once their wishes are fulfilled, they come back to the temple again and untie the thread. Tourists can see two idols of Goddess Mansa Devi. One idol of Goddess as three mouths and five arms whereas other idol has eight arms. Tourists who are interested in trekking, can access this temple on the trekking route as well.